What a big difference 34 years makes. The Los Angeles Lakers were the 1982 NBA champions, and now in early-2016 one of the worst teams in the NBA. In 1982 Donald Trump first made Forbes magazine’s 400 (richest) list, today he’s the front runner in the 2016 U.S. Presidential race. 60 Minutes was the highest-rated TV show in 1982, in 2016 it’s Sunday Night Football. Back in 1982 the hottest cultural icons were Strawberry Shortcake and the Smurfs, today it’s Star Wars. The moral of the story? It’s so hard to predict the future with any accuracy. Same is true with the Chevrolet Camaro. The Camaro has a rich automotive history. 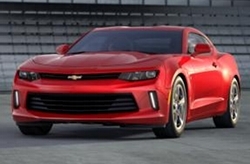 If it had not been for Chevrolet’s shortsightedness of not offering the Camaro for the 2003-2009 model years, the Camaro would have had almost 50 years of uninterrupted service. Good thing the Camaro is still around and starting its 6th generation with the all-new 2016 model. The performance version is the SS – it pumps out 455 horsepower and 455 lb-ft of torque from its pushrod LT1 6.2 liter V8. Not to mention overall SS weight has dropped 200 lbs to 3,700 lbs when compared to last year’s model. The result is a 4.0 second 0-60 mph time when equipped with the Camaro’s new 8-speed automatic transmission. The manual transmission is a few 1/10s of a second slower. Motor Trend magazine has recently awarded the 2016 Camaro its coveted “Car of the Year” award. An observant reader will notice the “SS” is missing. Was this intentional? You bet! In the past it would have been the SS winning the award, today it’s all 2016 Camaro models. This is testament to how far the Camaro has progressed in its evolution. In previous Camaro generations if you had anything less than the top performance model it was a big step down. The V6 and 4-cylinder powered Camaros were more like economy cars dressed up in an American sports car exterior. 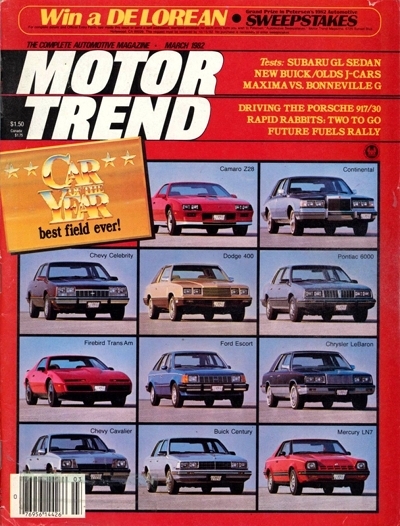 Not only was straight line performance dull for these base cars but handling was also insufficient in comparison to the top performance Camaro models. To Chevrolet’s credit this gap did lessen during the Camaro’s 5th generation. However now the V6 Camaro is a crazed rabid animal with its 3.6 liter V6 producing 335 horsepower and 284 lb-ft of torque rocketing its 3,500-lb weight to 0-60 mph in 5.1 and 5.2 seconds for the 8-speed automatic transmission and manual transmission respectively. The 1/4 mile sprint takes just 13.5 and 13.7 seconds respectively for the 8-speed automatic and manual transmission. These are times that would have buried the hottest V8 powered performance Camaros not too many years ago. Same could be said with the V6 Camaro’s handling which pulls on the skidpad test an honest .89 g. Base price for the V6 Camaro is $27,195 which is $10,000 cheaper than the base price of the Camaro SS. What this means is buying a budget Camaro no longer equals mediocre performance. Or if you want to look at it another way buying a true performance Camaro just got a lot less expensive. Believe it or not it gets even better. What if your budget is so tight that you can’t afford a V6 Camaro? No problem, for a base price of $25,700 you can get the lowest Camaro in the food chain. The V6 is replaced with a new twin turbo 2.0 liter 4-cylinder producing 275 horsepower and 295 lb-ft of torque. The engine is good for 0-60 mph time of mid-5 seconds and 1/4 mile time of 14.0 seconds. These performance times would have put to shame many muscle cars of the golden era and still today are respectable performance numbers. The 4-cylinder Camaro can be also equipped with either a manual or automatic transmission. And handling is impressive with .85 g on the skidpad test. In effect what Chevrolet has done is offer a low priced state-of-the-art hot (rear-wheel drive) Camaro which is priced right in the neighborhood of a lot of affordable front-wheel drive sporty 2-door imports. The 4-cylinder Camaro makes mince meat pie out of these front-wheel drive sporty imports. The yet to be released touted slippery styled 2016 Civic SI (which will be right in this same price range) will be front-wheel drive and is expected not to handle or accelerate nowhere near the 4-cylinder Camaro’s numbers. The young import crowd may find this too much of an enticement to turn down, for Chevrolet has finally built a hot Camaro that the millennials can afford. Expect the 2016 Camaro’s sales numbers to dwarf its 2015 sales numbers. Let’s teleport back to 1982 when Star Trek: The Wrath Of Khan was one of the hottest movies of the year and Chevrolet had just released its all-new third generation Camaro. The world hadn’t seen an all-new Camaro since 1970. Though by 1981 the Camaro was long in the tooth it was still much loved. Chevrolet had to modernize the Camaro for 1982 while still appealing to the loyal second generation Camaro buyers. It wasn’t an easy task when it came to performance since Chevrolet was forced to drop maximum engine displacement from 5.7 liters to 5.0 liters for 1982 due to the federal Corporate Average Fuel Economy (CAFE) standards. The end result was the top performance Camaro for 1982, the Z28, was equipped with a (LU5) 5.0 liter Cross-Fire fuel injected V8 producing 165 horsepower and 240 lb-ft of torque. In today’s numbers this horsepower rating is nothing short of pathetic, back in 1982 it was the equivalent of 400 horsepower in today’s automobile marketplace. The revered 5.0 liter performance oriented Mustang GT for 1982 only produced 157 horsepower, so you can see the times as they really were. 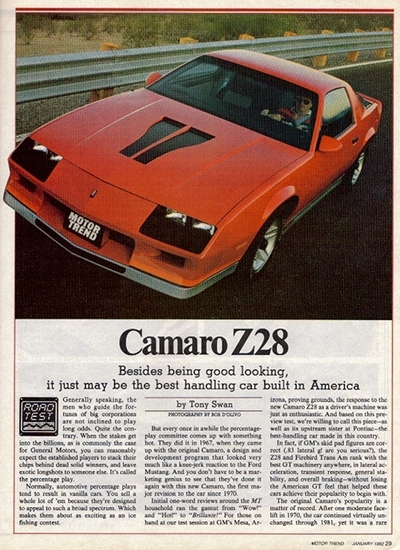 The downside was the 1982 Camaro Z28 was only equipped with a 3-speed automatic. If you wanted a manual transmission with your Z28, a drop down to the 145 horsepower (LG4) 4-bbl 5.0 liter V8 was required. It was like wanting pepperoni on your large pizza only to find out you had to downsize to a medium pizza to get pepperoni. However in this case a 145 horsepower medium pepperoni pizza wasn’t so bad. Performance for the LU5 equipped Z28 was very good for the times – around high-8 seconds for the 0-60 mph run and a 1/4 mile that took high-16 seconds to complete. The LG4 equipped Z28 added about 1 second to the 0-60 mph time and a half of second to the 1/4 mile time. To put this into proper prospective the 1982 Z28 was one of the quickest cars you could purchase in 1982. Most cars back in 1982 took well over 10 seconds to reach 0-60 mph. As for the 1/4 mile times for most 1982 model year cars they were so awful it’s not worth wasting article space providing the horrid details. When you consider that the 1982 Z28 (3,169 lbs) was close to 500 lbs lighter than the 175 horsepower 5.7 liter equipped 1981 Z28, performance of the 1982 LU5 Z28 overall was slightly better than its 5.7 liter 1981 Z28 counterpart. Handling was earth shattering at the time with the Z28 capable of .83 g on the skidpad test. Combine this with the much improved steering and slippery exterior body panels with an overall drag coefficient of .34 you’ll see why the 1982 Z28 was considered by the auto press at the time to be a well-rounded sports car. It was better in every way over it’s 1981 predecessor. Unfortunately the same couldn’t be said about the 90 horsepower and 132 lb-ft of torque 2.5 liter 4-cylinder and 102 horsepower and 140 lb-ft of torque 2.8 liter V6 equipped 1982 Camaros. Conservatively stated, these engines were inadequate when compared to the optional 5.0 liter V8s. Ironically the 1982 Camaro would be the first Camaro available with a 4-cylinder engine. The 4-cylinder option would stay with the Camaro through the 1985 model year and for 1986 would be axed. The 4-cylinder is now back after a 31 year hiatus. The times have changed since the Camaro’s new turbo 2.0 liter is 3.0 liters less, 110 horsepower more, and 55 lb-ft of torque more than the 1982 Camaro Z28’s top performance V8. The 4-cylinder 2016 Camaro handles better than the 1982 Z28 by a wide margin. The only advantage the 1982 Z28 has is it is a few hundred pounds lighter than the 4-cylinder 2016 Camaro. Just like the 2016 Camaro lineup is right for the current times and will sell very well, the 1982 Camaro lineup was also right for its times. Fuel efficiency was way up for 1982 and performance was good for its time. Camaro production jumped f rom 126,139 in 1981 to 189,747 for 1982 (and 1982 was a shorted model year for the Camaro). Just as Motor Trend was right with its pick of the 1982 Camaro Z28 as its Car of the Year, its current pick of the entire 2016 Camaro lineup as its 2016 Car of the Year is spot on again. The old adage can certainly applied here – the more things change the more they remain the same.